Dear readers, we are getting an overwhelming amount of questions about IB Solar Wise PV systems, cost of solar, efficiency of IB SolarWise PV system vs. conventional Solar panels, and whether solar will work for you. To answer most of these questions we have created a comprehensive solar PV planning and design guide. Please familiarize yourself with how solar works, solar terminology and Solar PV Roofing price structure – find out how much solar PV roofing should cost – Solar PV prices. IB SolarWise Roofing is a Revolutionary Product combining Permanent Flat Roofing and Renewable Energy in one easy-to install, leaks-proof flat roofing solution for environment and money conscious Home and Business owners, and has a pay-off period of under 5 years*, while industry standard is 7-10 years or more. IB SolarWise utilizes Thin Film laminate Solar PV modules produced by Uni-Solar – a US manufacturer of Solar products. Both IB Roofs and Uni-Solar have been in business for over 30 years, and combining their respective experience in Flat Roofing and Solar Photo-Voltaic gives you the highest quality, Super-Energy-Efficient product for Residential, Commercial or Industrial buildings. SolarWise is more than just a system – it is a way to integrate two different system to work seamlessly, to be leaks free and maintain its warranty, without incurring additional costs for the building owner. IB Solar Wise helps roofing contractors and solar integrators eliminate their biggest worries – leaks and solar photovoltaic equipment damages by creating a seamless integration between two previously incompatible technologies. 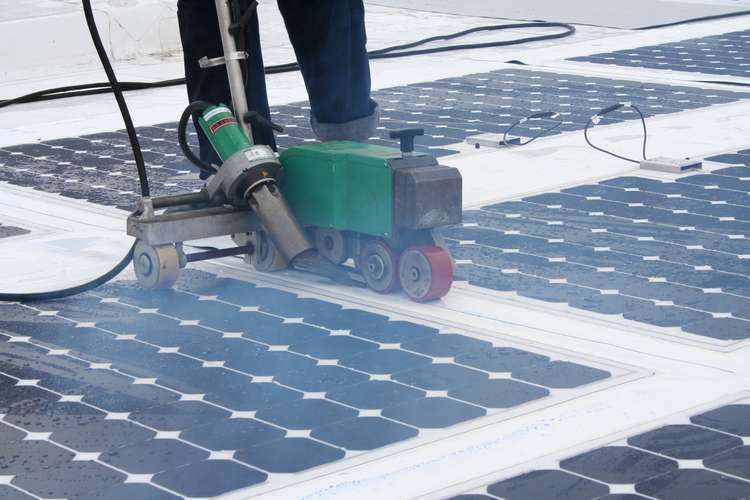 Until recently, availability of IB SolarWise system, solar integrators had to rely on caulking and screws to attach solar panels to the roof surface. This created leak problems, for which solar integrators did not want to take responsibility. Roofing contractors were ‘terrified’ of solar equipment and its sky-high replacement cost in case of damage during roof repair. Now all these problems are eliminated by integrating solar PV components into a long-lasting IB roofing membrane, resulting in the elimination of leaks, reduced solar and roofing installation & materials costs and reduced requirement for dead-weight load on the structural components of the building. Here we will demonstrate a cost structure for a hypothetical 3 KW solar PV system installed on a roof of a home or a business. Do understand that this cost includes the installation of IB Roof, BIPV Solar panels, Inverter, wiring, etc., and the prices are provided “before” any Federal tax credits and State rebates for solar and other renewable energy projects. Lets assume that our roof is an average residential roof that is 1500 sq. ft., which has a slight pitch and is positioned in a southern direction with no shading (perfect conditions for solar PV installation). Please note that the slope of the roof, shading or southern exposure do not directly affect your cost for a solar system, but these conditions will affect your system’s efficiency and total electricity output. Theoretically, on a 1500 sq. ft. roof, we can install up to 7 KW of IB Solar Panels, but for the purposes of this example we will use 3 KW system mentioned before. There is a lot of confusion about how the solar PV systems are priced – many people assume that solar is priced by Square Foot, but that is not the case. Because Solar Panels from various manufacturers have different efficiency, the electricity produced by 15 sq. ft. panel from Manufacturer A can be double that produced by same size panel made by Manufacturer B. Therefore, all solar PV systems are priced by their output measured by Watts DC. The average industry cost for solar PV systems that are rack-mounted and installed on an asphalt shingles roof of a residential homes range from $10 to $12 per Watt DC. 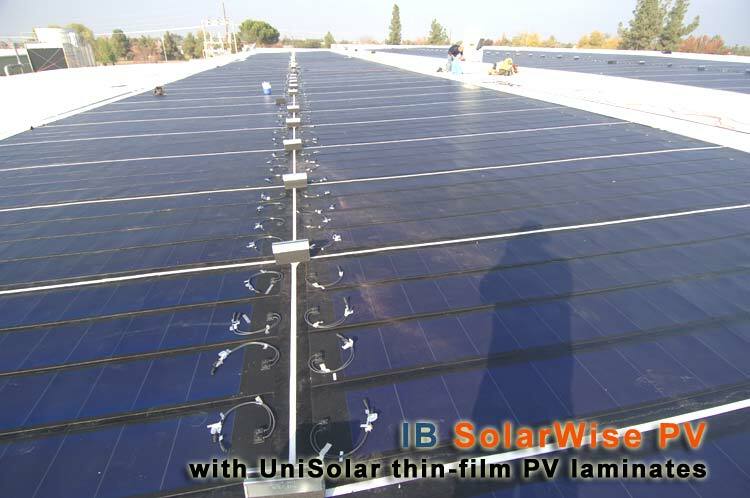 IB SolarWise PV system utilizes a thin-film Solar PV laminates produced by Uni-Solar Ovonics. These solar panels have lesser efficiency than a more common crystalline silicon panels (big aluminum boxes) per sq. ft., therefore they require more space to have a large size solar array installed. However that is rarely a concern, as usually there is plenty of unused, unshaded space on the roof. Prices of IB Solar Wise PV are in the range of $13-14 per Watt DC. This is slightly more than your conventional PV panels, but it also includes a Lifetime roof, and provides a complete, watertight system, which is guaranteed not to leak, as is often the case with conventional PV systems installed on rack mounting systems, which are bolted to the roof. The $13-14 per Watt DC figure is flexible and a lot depends on the size of the roof and the size of the solar system (number of KWatts), and in some cases can actually be on par with cost of conventional Solar systems, which do not include the roof. Each individual project will be different, so use these numbers for reference only. Also we recommend that you read the next section of this article, discussing why you would want to have a roof-integrated solar system installed vs. a conventional solar system. Foreword: This story is fictional in nature but real in substance, and definitely happened before. A brave, responsible, and hard-working person – Jack – decides that installing a Solar PV system is not only beneficial for the environment, but is also a sound investment. So after doing the due-diligence, he lines up a solar integrator to install a Solar System on his 7 years-old flat roof. The roof has no signs of leaks and Jack feels that there won’t be any problems. The solar integrator knows his job well and completes the project in a timely manner, applying for and receiving all the available incentives for the client. The system performs well as expected, and generates the expected amount of electricity. All goes well. 3-5 years later, the roof begins to leak and Jack is faced with a dilemma. He needs to stop the leaks but the solar equipment is in the way. The roofing contractor who is supposed to fix the leak hesitates to move the solar equipment, which prevents him from fixing the roof. The only option is to remove the solar panels array completely, remove the old roof, install a new roof, and then put the solar array back. Excluding the cost of re-roofing, as it is not related to the solar system, the hero of our story had to pay at least a dollar/watt for removal and a dollar/watt to put back the solar panels. Lets say he had a small commercial system of 10 kW or 10,000 watts. This means that he had to pay an EXTRA $20,000 just to take the solar system off and put it back on, so the roofing crew could do the work. Why was this a cautionary story with the END in mind? Very simple: Jack could avoid the extra expense of $20,000 by using a roof-integrated solar system such as IB SolarWise. Cases like this one happen all too often, and not just with flat roofs. A more common example would be an asphalt shingle roof with a solar pv system, where shingles not covered by solar panels deteriorate at a normal rate and will have to be replaced about every 15 years. Lets face it: shingles rarely last more than 15 years. Consider all the roof penetrations from the solar panels’ rack mounts and the roof lasts 12 years, after which the repair process described above has to take place, unless of course you are willing to take the leaks. 1 – IB Cool White PVC roofing membrane reflects up to 90% Sun’s heat, thus your AC does not have to work as hard as if you had a black roof. Read more about benefits of IB Cool Flat Roofs. 2 – SolarWise PV modules (solar panels) generate free electricity** by converting sunlight into Electricity you can actually use, so you do not have to buy it from your utility company, or you buy a lot less than you had to before. In some cases, your IB SolarWise PV system will produce MORE electricity than you expected, and you electric company will buy it from you at retail price, in states that have Net Metering laws (most states). You will also be able to sell so called Renewable Energy Credits or RECs to give you even more money for extra electricity that you produce, thus speeding-up your pay-off period! But that is not all – there are also numerous incentives, grants and tax-rebates offered by Federal, State and local Governments, as well as your utility companies. 3 – IB Roof’s durability and proven performance ensures years of leaks-free operation of your roof, as well as virtually no maintenance. As a result, you save money on flat roof and interior repair, which you will otherwise incur with other flat roofing systems, notorious for constant roof leaks. 4 – IB SolarWise PV system will save you money on the installation costs. SolarWise PV is a Building-Integrated PV (BI-PV), which means it is actually a part of the IB flat roofing system. This eliminates the need to use expensive solar panel mounts, brackets and railings that take long to install, therefore adding a lot of money to the total cost of the installation. How does IB SolarWise PV work? IB SolarWise PV produces a DC-current, which goes into an Inverter where it becomes an AC-current. The inverter is connected to you home’s or building’s electric circuit and also to your meter. You use all the electricity you need, while ALL excess electricity goes into the Grid. Electricity that goes into the grid is purchased from you by your utility company through Net Metering, usually at retail price. Most of the electricity produced by the SolarWise PV system occurs in the summer, when days are longer and more sunlight is available. At the same time, people will usually use a lot more electricity in the summer to run the Air Conditioning units, so depending on the “size” of your solar system, you will produce more, less or the same amount of electricity than you actually consume. However, practice shows that in the summer months, Solar systems produce more electricity than is consumed. Therefore, all excess kWh sent to the grid in the summer you will use in the winter, when a lot less sunlight is available. Note: you will need a PDF Reader to open this brochure. We recommend fast and free Foxit PDF Reader. Lowest Cost per Watt installed with simplified installation and fastest pay-off period of around 5 years! Fully Integrated Solution eliminates the risk of roof leaks, often associated with regular Solar systems! Light Weight of about 1 lb. / sq. ft. eliminates the need to upgrade the structural components of your flat roof, which further reduces your costs. This section is designed to cover the topics that you are most interested in, and always ask us about. Q: How much does a square foot of IB Solar PV cost? Q: What is the output of IB SolarWise PV module? A: IB SolarWise PV modules come use 4 Uni-Solar thin-film laminates per module. Each Unisolar module is 136 Watts DC, so each IB SolarWise PV module is 544 Watts. You also have an option of getting modules that are 1/2 the physical and output size and are 272 watts. Q: How many KW of IB solar can I install on my roof? A: The 544 Watt IB SolarWise PV modules is 19 feet long by 6 feet wide and require 120 sq. feet of unshaded roof area. Therefore, for 1 Kilowatt of electrical output, you will need about 200 sq. feet of roof. However, since IB Solar modules come in sizes of 544 Watts, you need to calculate how many modules you want installed and how much unshaded roof area you have. To learn more information and methods of designing a solar house, visit our GreenSolar Cafe.com – Renewable Energy Blog. There, you will find detailed guides to creating a Net Zero Energy consumption home, that utilizes Solar and Geothermal technologies that are available on the market today. Solar PV installation Prices – Detailed guide to $$/Watt price-structure of SolarWise PV and other solar systems. Solar Rebates and Incentives Guide – Summary of Federal, State and Local tax credits, grants, rebates, incentives for installation of Solar PV systems – both for Residential and Commercial installation. Make your Solar PV profitable from the day it is installed! Solar PV Price Estimator – Calculate the approximate PV System-size in Watts, Cost/Watt and the Price to install your SolarWise PV system, and an IB Roof of your choice. Solar PV Pay-off / Break-Even Guide – Detailed look at how Solar PV works, Solar systems design, and how you can get Free Electricity. Speed up the pay-off period of your SolarWise PV. In some instances you can make your Solar PV profitable from the day it is installed! IB Green/Roof-top Garden Roofs – If you are Eco/Environmentally conscious, or just want more Green in your live, and have a flat roof Home or Office building, see why IB Roof is the perfect choice for your Greed Roof! Green Resources Directory – Visit other Green / Eco-Friendly resources available online. I have an architect here in Queenstown who i am installing the waterproofing for (Tanking – Torch on ,Decks/roof-Lexcan Tpo,) We were going to install a Garden Roof but he is keen on using pv panels directly to the roof .. He has always been keen on panels but he doesn’t want to hinder his 11.5 million dollar home he is designing with big pitch roof solar panels . Is there a way you guys could supply to new zealand or is there a supplier that can . My company is keen to push this product here , cause we have 10000s of square meter to use it on . I was very interested in your product until I read the cost you state for standard PV systems. In reality the cost for standard PV in the east ranges from $5.00-$7.00 per watt DC from most installers like Sunrun, Solar City, Sunpower dealers etc. Inflating the cost of the competition to make your product look like a better deal makes one doubt the the rest of the claims you make about your product. Would you please address this? Is IB Roof systems putting a bid on the RIPTA bus station in Providence RI. We are glad to know your company from Website . We specialized in solar pv roof bracket and interested to be your supplier . We can provide our competitive price and high quality product to you . You are welcome to visit us .It has 100 sets of punch, welding, laser cutting ,bending machines. Looking forward to your reply. I am not against solar power but your information is “marketing” pretending to be “technical”. There is no economical analyis here that user needs to know. What are the disadvantages of this system. You seem to be saying its perfect solution to everything including the “common cold”. If this is a technical product (like car) it has some disadvantages. Consider 3kw system. It costs $30k to install. Small household that spends $1k per year on electric power. What is the maintenance cost of the system. can you buy a service. How much is that service cost. Does that service cost stay constant over the next 30 years. With the above numbers that I gave even if teh maintenance cost is 0$, it takes me to recoup the cost in 30 years. What is the failure rate of the panels. Do the panel failure mode is independent by each cell, that is to say, if a cell fails, do the others continue to work. Is it possible for the cell to short out entire panel and therefore forcing costly replacement. How much does it cost to replace the whole panel. Not to be negative, but why does the solar industry, even with newer technologies at substantially reduced costs, price it self so high? It is only when you check eBay that you see the huge markup in panels or laminates that are exactly the same. My area wants to go green, but we refuse to pay prices that promote such incredible greed. We are not against a modest profit, but all this talk about helping save the earth seems to be crap when you realize that most systems are priced way beyond the general public. Thin film is much cheaper to produce than conventional solar cells … less than $1 a watt, and yet even small flex panels are so expensive. I used to be a solar advocate but I’ve since changed my mind. It’s not worth it. We have a client in Michigan with a leaking flat membrane roof. The client is interested in replacing the membrane roofing material with your product. Is there a local Michigan source for your PVC solar electric membrane product? What training is requried to install this solar photovoltaic roofing material? Thanks, Art Toy, Principal, Four Elements Energy, Inc., Lawrence, Michigan. Should the need arise, what”s the process for removing Uni-Solar panels if they are applied to the roof? Is there some sort of a solvent involved for the glue / tar? Can the panels be laid back down again afterwards? Hi, I think your product is wonderful and is really one of the best that I have come across lately. Unfortunately your website has many spelling and grammar mistakes in it, which makes your firm look un-professional. One example is: ” This frequently asked questions section is designed to cover the topics that you are most interested in, and always as us about.” You mean – ASK US ABOUT. I hope that you take the criticism in a positive way and sort out the errors. However, I strongly recommend practicing before you start installing these for your clients. You will also need to purchase Liester’s hot air welding equipment to install these. To start, you need to contact IB roofs about setting you up as a certified contractor and going through installation training. Go to http://www.ibroof.com or call them 800-426-1626. They will also help you with solar pv system design and installation. Hello I’m interested in learning the installation process of this roofing and solar panel system. I’m in New Orleans and I have never seen this product used before. 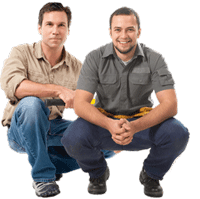 Can you refer me to a certification school or does your co. have courses on the installation. After watching the videos, this roofing system seems to be the easiest roofing installation I have ever seen. I have never considered doing roofing installations until now. I usually will sub out the roofing jobs but this stuff seams very easy and when you finish it truly is water proof. Can you send me some info because it looks like its the way to go for the future especially with the solar panels. I think it would be ideal for our region because in the summer its gets really hot here and with the solar panels people can save on energy. You solar panels do NOT look like unisolar. What’s the deal? IB SolarWise system is not tied to just UniSolar – it as a way to integrate any solar PV system into the roof, or in case when regular solar panels ans mounting racks are used, to make sure that everything is watertight. For example, if mounting posts are attached to the roof mechanically, a pre-fabbed post flashing will be welded around it to prevent any leaks. As for what you seen in pictures, those are the original solar panels that IB used 3 years ago. They were made by Open Energy, but I heard they were faulty, hence IB switched to tried and true UniSolar flexible PV modules adhered to the membrane. The first versions of IB solarwise used solar pv panels made by open energy. IB used them for a very short time because they soon discovered some issues with them and quickly switched to proven Unisar thin film panels. Solarwise with open energy modules was in a very limited production, but they did make a promtional video with them. Those are the panels on the roof of IB headquarters.